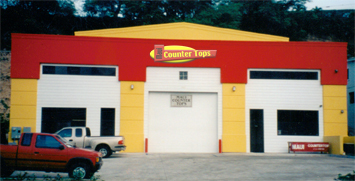 Maui Counter Tops has been manufacturing counter tops since 1971. Pete Nichols has been owner/operator since 1988. What started as mostly laminate manufacturing has continued and expanded into all types of counters. We love solid surface (Corian etc.) because you as the client do not have to deal with unsightly seams. We love laminate surfaces (Formica etc.) because they are super affordable. We love Silestone and Sensa Granite because they are beautiful in a raw sort of way. So many to choose from, so little time! Which brings us to the subject of time. We know you need your counter tops ASAP but we will not give you a time that is unrealistic to meet. You can trust Pete’s word on when your counter tops will be ready. (And this is his wife speaking so you know it’s the real scoop.) We look forward to your trusting us with providing you with a quote and supplying you with new beautiful counters! Copyright Maui Counter Tops. Designed by Page One Hawaii.